The road to homeschooling is different for every family. Some parents plan to homeschool from the time they have their first child. Some arrive out of necessity, such as a child’s prolonged illness, or missionary families that don’t have access to good schools. Still other parents feel supernaturally drawn to it. I thought I’d share the story of how our family began homeschooling. The term “homeschooling” first entered my mind when our son was about three years old. Almost robotically I found myself seeking out information about it. I had never heard of it before and I didn’t know anyone that homeschooled. I didn’t even know if it was legal. At the time, we lived in the Houston area, and with an abundance of private school options he saw no reason to entertain that thought. With that, I put it out of my mind. But I found myself being drawn to it again and again. As I learned more and found interesting tidbits I shared them with my husband. He listened politely, but that was about it. One day it occurred to me that perhaps God had planted this seed in my mind, so I began to pray about it. I told Him that if He was leading me to homeschool that I was willing but that my husband was not convinced. I then asked Him to give me a sign – that my husband would tell me to homeschool. I figured that if my husband were to do a total 180, that would be a clear sign. A few years passed and during that time my husband decided that he wanted to make a change. He had been the Branch Manager for a major investment firm for about twenty years in one of its largest markets, and he wanted to slow down a little by taking a smaller office. As a result, we moved to a small town in the Texas hill country. By this time, our son was six, and we had a daughter who was two. Our son had been in a private church school but in the new town our only choices were public school, or a private school that didn’t meet our criteria. Being March, we decided to put Hayden in the public school for the remainder of the school year. That short amount of time was enough to convince us that was not what we wanted for our children. Soon after that my husband turned to me and said, “I’m ready to homeschool.” That was the sign that I had asked for several years earlier. I hadn’t forgotten, and I immediately started getting ready to assume the responsibility of teaching our children. That was the summer of 2001. We started homeschooling at the beginning of September, 2001, just before the infamous 9/11. So now I have to tell you that my husband worked for Morgan Stanley, and that their company headquarters were in the World Trade Center. My husband was almost there that day. He had been asked to attend a meeting, but he sent someone else in his place. He was listening to the radio on his way to work that morning and heard about the plane hitting the first tower. He called and told me to turn on the television, so I started watching the coverage in time to witness the second plane and everything else that transpired. Many people were affected that day, and it was a scary time for our family, too. My husband worried about friends, co-workers, and employees who were in the towers, as well as whether he still had a job and income. I was so glad to have both of our children at home with me during that time. Both of these events, God’s answer and 9/11, made me very committed to homeschooling. Even when it was tough, I asked for God’s help and kept on going. I had the same doubts and fears as most homeschool moms, but as in all things, God worked through my weakness to accomplish His good. Occasionally, I see women post on Facebook that they feel drawn to homeschooling, but they don’t have their husband’s support. If that is you, my advice is to pray about it. If God is calling you to homeschool, then He will change your husband’s heart. As you can see, it didn’t happen over night for us. It was more like three years. The benefit of waiting on Him was that it strengthened our commitment to it. We didn’t spend time wondering if we had made a mistake and should put the kids in school. When we hit rough spots, we knew that God would lead us through them. I don’t know if God calls everyone to homeschool. It’s very personal, and only you and your spouse can make that determination. I’ll always cherish my homeschool memories, and am thankful for the blessing of being able to home educate my children. Now I want to help other homeschool moms who feel called to homeschool. 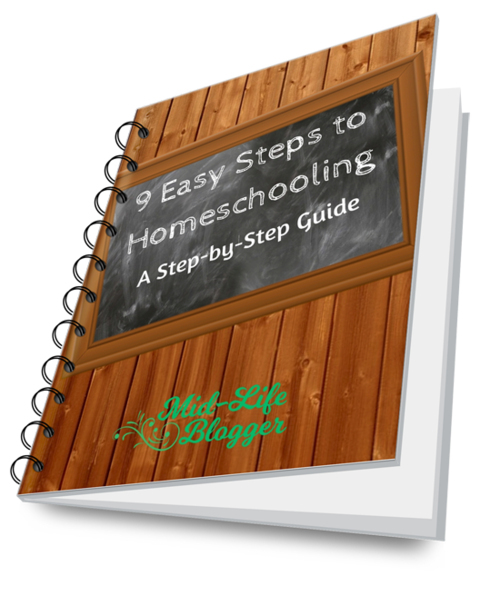 I wrote 9 Easy Steps to Homeschooling to do that. Through the years I’ve helped a lot of families get started. I know what the fears and misconceptions are, and how to address them. A few of the steps are a result of my own experiences, things I wished I’d known early on. For a small price, you can download it immediately. 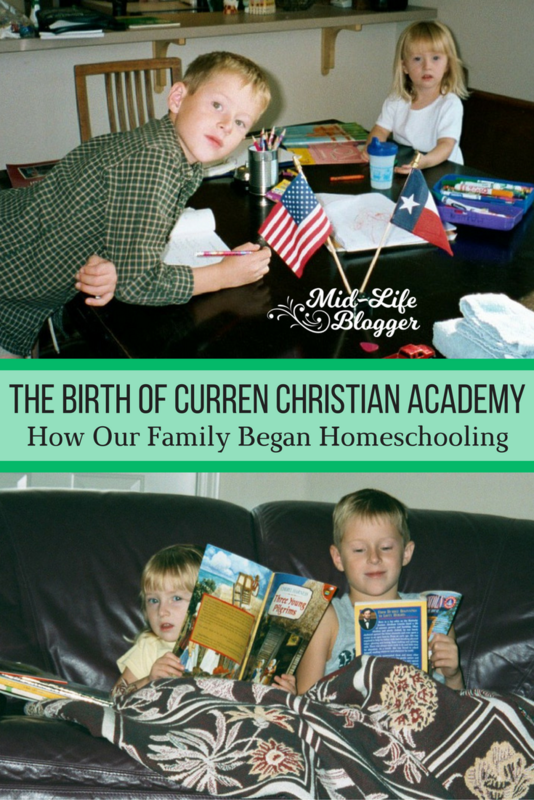 I love the story about how you came to be homeschoolers. I can testify that you did a stellar job, too. I also remember calling Scott as soon as 911 happened and how he was so worried and was quick to get off the phone to check on everybody. It was such a relief that we were blessed with good news. Another memory from that day is talking to Becky and hearing her angst over how things might not have turned out so well for us. You couldn’t stop yourself from “going there” when talking about it because it hit so close to home. Oops, did I over comment? Maybe I should get my own blog😜 Actually I have insomnia and I’m on medication for a horrible cold. Evidentially, one of the side effects is a bad case of pontification so please excuse me. It is interesting to hear that it took so long for your husband to come around to the idea. My husband was not immediately convinced, but at the time we were talking about it, it was an election cycle, and we both just agreed that we’d rather not put our kids into the public school system, no matter what the outcome…the election just seemed to prove that to us. We didn’t really begin to homeschool for about a year after that since our boys were so young, but now we can’t imagine doing things differently. It’s always interesting to hear others’ stories. Thank you for sharing yours! It’s definitely one of those days that you remember where you were and what you were doing. I really enjoyed your story of how you came to homeschool. My Mom was either one (if not the first) to homeschool in 1986 in our area. I am the oldest of my family so the first to homeschool. As I homeschool my own children, it’s interesting to see how widely accepted it is. It’s hard to imagine what people like your mom went through in order to homeschool. I really admire them. Wow, what a beginning! I love hearing how God directed the paths of other homeschooling families. I remember clearly our school day had just begun but came to a screeching halt on 9/11 – the children and I gathered in a circle in the living room, praying for all who were there in the path of destruction. Our family’s journey began in 1991. As our oldest was about to turn 5, official school age, you know, my husband was considering taking a position that would involve a great deal of travel. He would likely be gone 6 to 9 months of the year. Not ideal for family togetherness. We did not want him away from home and we did not like the idea of taking our children in and out of schools like a yo-yo. When my husband mentioned homeschooling, I am the one who said ‘no way!’ I had no confidence in my abilities to teach my children. He said ‘yes, we can do this.’ So we bought BOTH of the books on homeschooling available at our local Christian bookstore. Turns out, hubby did not take that job but was more convinced than ever we should educate at home. I gave in/submitted/compromised thinking we could do Kindergarten at home and then probably send him to school. Fast forward a year and a most amazing thing happened – our son had learned how to read! So I agreed to one more year, with our son a 1st grader and our daughter a Kindergartner. Eventually I quite saying “one more year, then we’ll see” – it was clear God had nudged us down this path even when I was resistant. Educating our children at home was our lifestyle and what the Lord was asking us to do. And now, 8 children later (4 of whom have graduated,) I’m planning out a new school year for the 27th year in a row. And not regretting it one bit! Wow! I’m in awe of women like you who have homeschooled over twenty years and with so many children. You’re Super Woman in my book! Thanks for sharing!